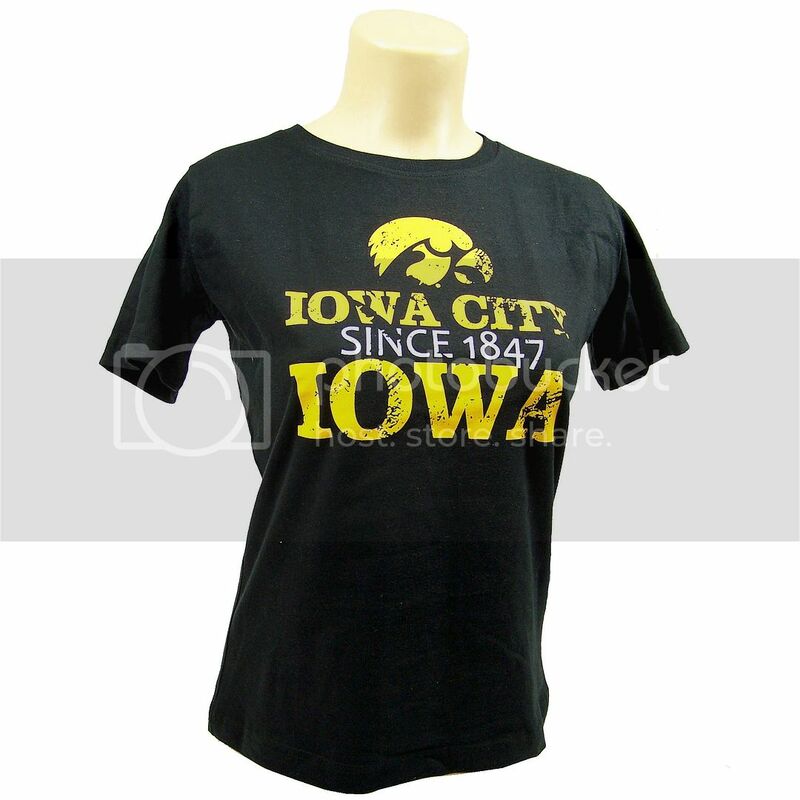 You'll be ready for gameday in this Iowa Hawkeyes Short Sleeve T-Shirt. Features the official screenprinted team logo. Size: Large (Sz. 10-12). Officially licensed by the Iowa Hawkeyes and the NCAA. Top-quality cotton construction manufactured by Glitter Gear. Machine wash cold tumble dry low.